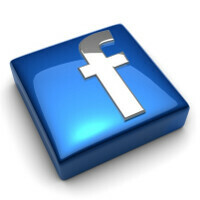 Facebook, on Wednesday, said that it is testing out the use of Google Now-style cards for its iOS app. The Facebook cards would provide information and would show up over the NewsFeed. Check-in to a restaurant, and past pictures you've taken with your friends at the eatery might show up. Check-in to see a specific movie at the local movie house, and it will lead to a card popping up with comments from your friends who have seen the film. The cards do not offer real-time information like Google Now. For example, you won't see the latest scores from your favorite team pop up, or the traffic on your most widely traveled routes. Instead, the data on the cards will include information from status updates and individual posts between friends. The cards are just being tested at the moment, but if enough iOS users find them useful, Facebook will surely broaden the usage of the cards to other platforms including Android. A spokesman for Facebook said that the cards help you discover where you are, or give you some fodder for conversation. As such, you can see the difference between the Google Now cards which actually provide useful information. One thing that Facebook did do right was to color code the cards. A card related to a birthday is colored blue. One with information pertaining to a location is red and photos are in a yellow themed box. This way, you can tell at a glance the kind of information that is being presented to you. Surprised someone like you would be fond of that design, considering Google came up with that styling scheme and not Apple. go shove your fanboyism somewhere else please! When did I say apple came up with that design? I never implied that... I'm just basing my opinion off the countless times I've seen you bash certain Android posts, and how you seem to praise Apple and their products religiously. So you're just spouting random nonsense? I always found Google card UI to be so elegant beautiful and simple. I like this. I hope Google integrates this more into future android versions. Icons are a thing of the past WP live tiles ushered in a new era of smartphone homescreens, give it another year everybody including iOS would have transformed from the static home screen to large Panel based homescreens. I don't recall Google now having solid images. They were always cards that contained info. To me this resembles Foursquare styled cards more than Google now, Live Tiles set the trend for Simple and elegant Tiles/Cards interfaces, makes me wonder which company will reinvent the home screen again in the next decade.